What happens when you make a single malt and single hop IPA using our Ultralight Malt Extract mixed with Simcoe hops? Deliciousness, in a glass. This brew comes in at around 6.5% ABV and 65 IBUs, making for a crisp, hop forward, west coast style IPA. Without the characteristics of specialty malts or multiple hop varietals, the bitterness, flavors and aromas of Simcoe really shine through. 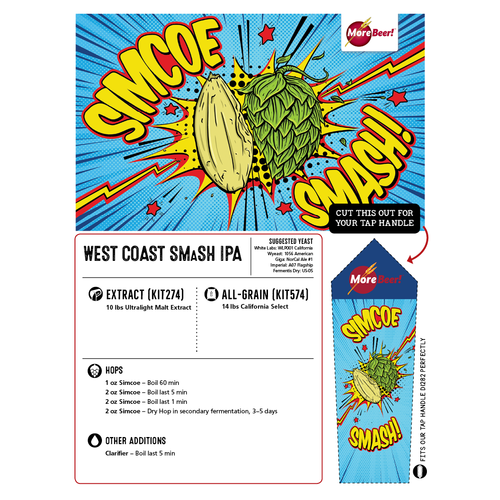 If you're looking for a winning combination, try our Ultralight Extract & Simcoe SMaSH IPA today! I've had it before and really like it! 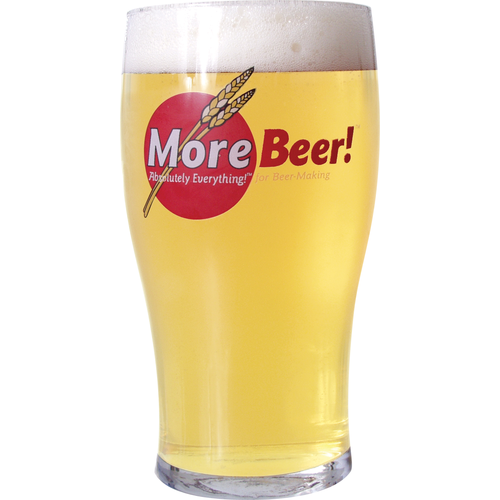 I chose this recipe for the large amount of Simcoe they give you and I modified it a bit. I steeped with a Lb of Crystal 15L and a lb of Red Wheat malt. I added 2 Oz’s of Citra 1 at 5 mins and one to dry hop with an oz of Simcoe. I removed 2 oz’s of Simcoe to use in my Lunar Shock recipe. This came out great!! I haven’t tried the Simcoe yet though, still in the carboy. Add I lb. crystal 40 / steep for 30 min. use Windsor British Style yeast. Everyone that has tasted it loved it. After all the other beers i have made everyone asks for this one. Try the White Labs California V with a yeast starter for a crisp beer on a hot day. I brewed this 5/24/15 and am now enjoying this a little less than a month later. I love the smell of simcoe and wanted to try a beer with just simcoe hops.This fit the bill.This is a very good beer,better than most.I believe it could be better if it had a complimentary hop in the mix like citra or cascade.I would brew this again no problem and would probably add a little more hops. Update: Beer has improved in flavor. 5 stars! To each their own I guess. I didn't care for this and I wouldn't make it again. I was kind of shocked to see all the positive reviews. Maybe I just don't care for Simcoe. This is the beer that has converted me to an IPA lover. The citrus aroma was amazing with the taste to match. The mouthfeel was light with a nice alcoholic bite but not at all overpowering. I loved it so much I tried to preserve it for the occasional indulgence. This why I couldn't give it 5 stars. After about 2 months it turned very sweet and lost most of its' Simcoe flavor. It almost tasted like a heavy amber ale. Enjoy this brew quick and then brew more! The beer comes out almost a light red color. It's a very hoppy IPA. 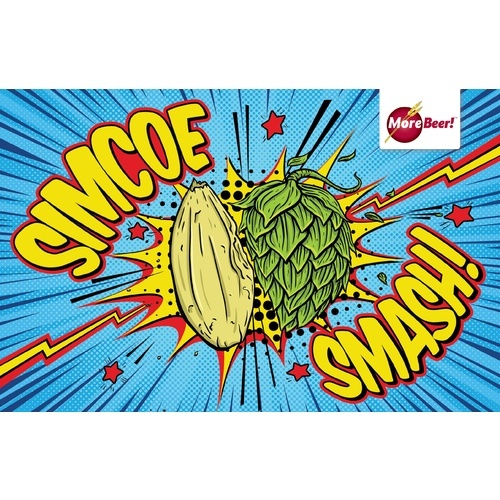 You certainly will understand what Simcoe hops add to a beer. I personally don't like drinking this beer and it will take me a while to drink all of it. Simcoe hops are very fruity flavored and the beer almost has a syrupy sweetness. It has a wonderful smell and is definitely a fun beer to have friends try. I had never brewed an all Simcoe Hop ale. It has flavors of mango, pineapple, and Passion Fruit. I've been brewing for 20 years and this was a great surprise and my friends want more so I am ordering another kit!! I wanted a quick and easy beer for when my brother from out of state came to visit. It was a snap to brew, and was in the keg within 3 weeks, the keg however didn't last the weekend, super drinkable! Will definitely brew again, very good session IPA! After reading articles about SMaSH brewing, I was not expecting much. This turned out to be a wonderful surprise! I was in a hurry and it was on sale, so I bought the extract kit. I did extend the intial boil 20 minutes because I started with too much liquid. Clean, crisp taste. I bought this when they first came out with it for two reasons. It was $10 off and I wanted to try a straight simcoe beer. This is a very very simple beer with a boring incomplete flavor and I would not make it again. It is much darker than their picture shows.